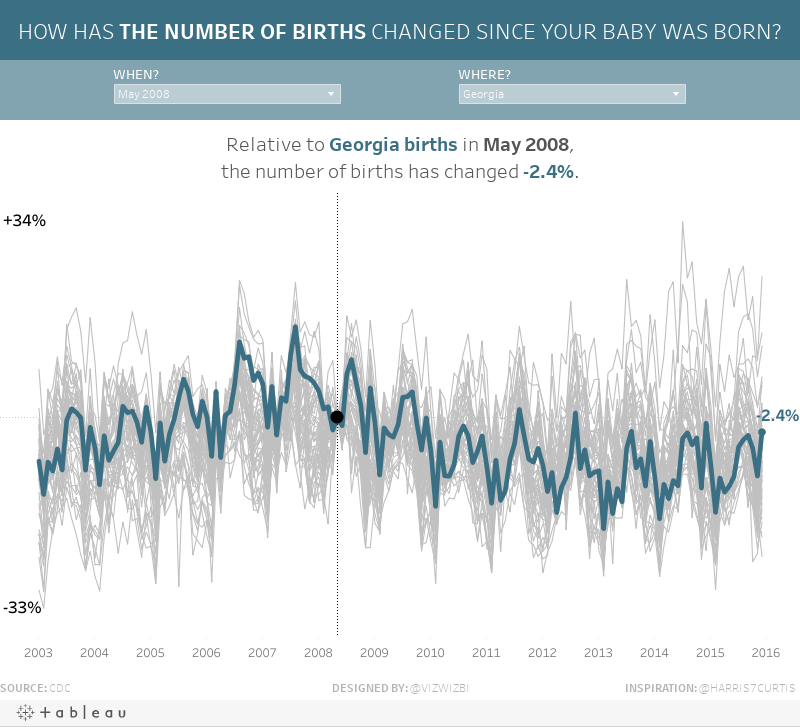 Makeover Monday: How Has the Number of Births Changed Since Your Baby Was Born? If this data set and viz look familiar, it's because I highlighted it a few weeks ago on DataVizDoneRight and it was also the source for Workout Wednesday Week 31. This is such an amazing viz and a pretty interesting data set. 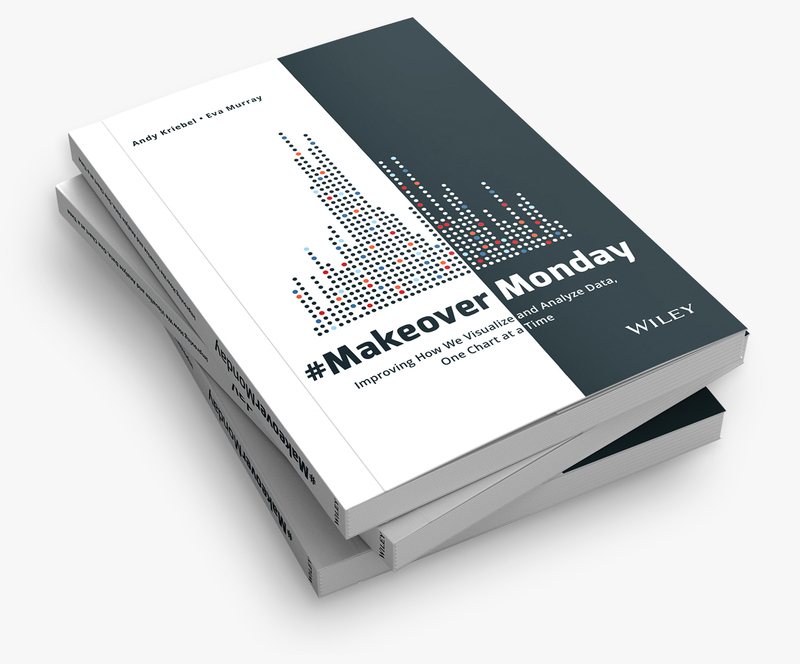 I'm curious to see what else the Makeover Monday community can come up with. I also recently highlighted a viz by Curtis Harris (my review / his viz) that I have been wanting to try to recreate. While this data set isn't the same, it's the technique and design by Curtis that I wanted to mimic. Thanks Curtis for the inspiration! With that, here's my Makeover Monday week 33, in which I look at the number of babies born by State since your baby was born. 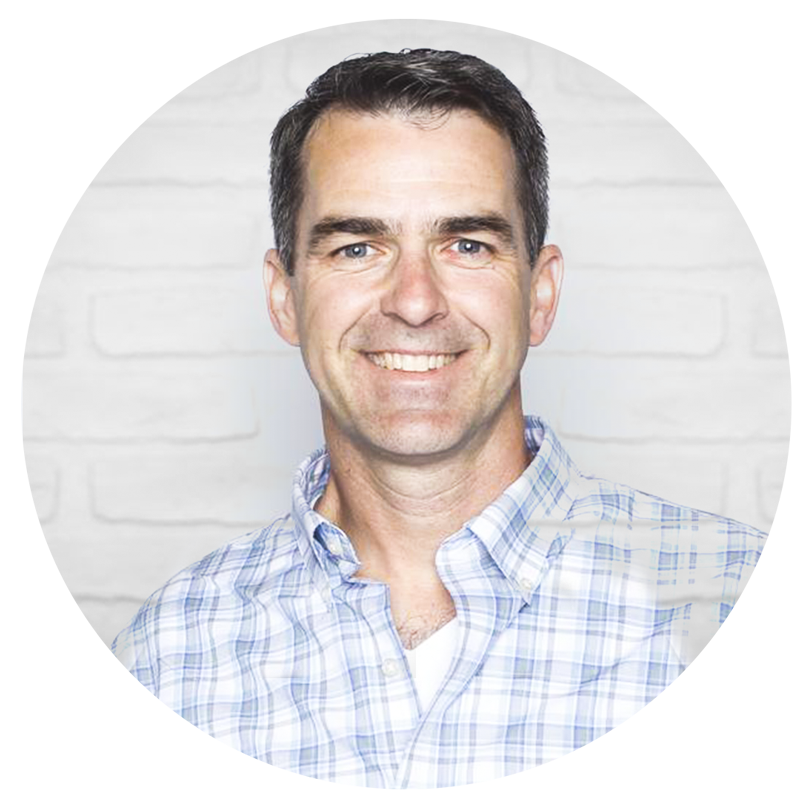 Hi Andy, which version of Tableau is this workbook created with? I am not able to open it with 10.2.1. Thanks.